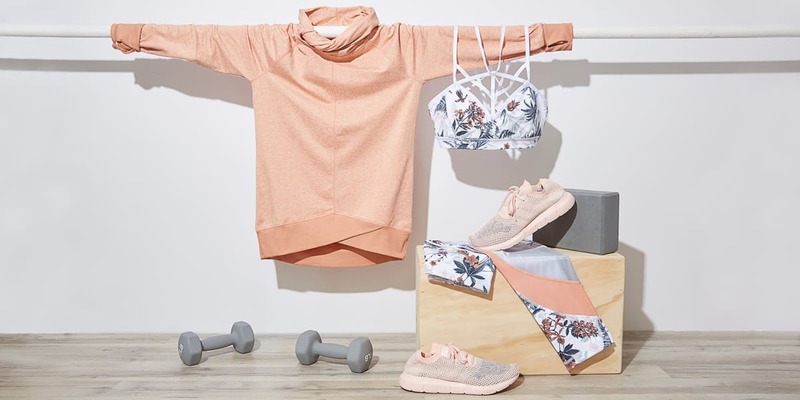 Sometimes the only motivation you need to work out is some cute new activewear. Need to refresh your supply? Here are three trends we love so much, they inspire us to sign up for that extra spin class. Gym clothes shouldn’t be limited to just plain black or grey. Try fun colors or prints to energize your workout. Not ready to jump in with two feet? Start by implementing one print per outfit. Usually made from polyester, performance fabrics wick moisture away from your body. It can then evaporate on the surface, keeping you cooler during your workout. Just like your exercise routine, details matter. Mesh, strappy tops, and retro logos are simple ways to give your basic gear a fashionable flair.